Henry V is renowned as Shakespeare's most patriotic play. It can't help but stir up emotions, especially during its glorious "We few, we happy few" speech, famously borrowed by Winston Churchill during the Second World War. 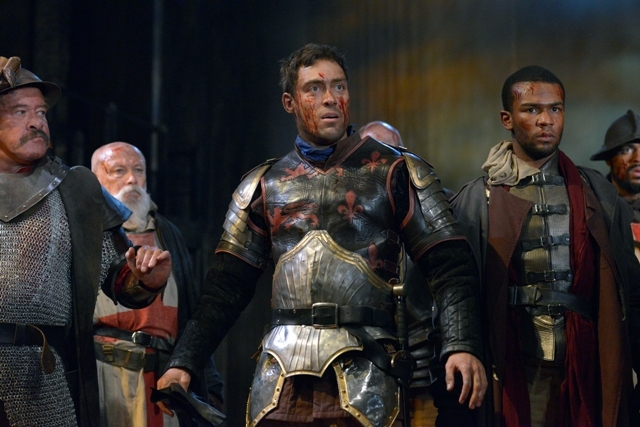 Actor Alex Hassell gives a majestic performance in the lead role of the RSC's Henry V.
It's the latest in director Gregory Doran's series of enthralling history plays for the Royal Shakespeare Company (RSC), following on from last year's Henry IV Parts I and II and Richard II before those. Coinciding with the 600th anniversary of Henry V's triumph over the French at Agincourt, its a very timely affair too. The play opened at the Royal Shakespeare Theatre in Stratford upon Avon, where I caught it, but moves on to London's Barbican Theatre later in the year and will also be screened live to cinemas and schools on October 21, 2015 . The French court preparing for Henry V''s attack. The play coincides with the 600th anniversary of the battle of Agincourt. Once again, the hugely impressive Alex Hassell takes on the lead role of Hal, seeing through the final transformation from wayward prince to admirable king at the victorious conclusion in Agincourt. Henry V opens with chipper Oliver Ford Davies wandering on to the empty set in slacks and a scarf as the Chorus. He's having a good nose around, even picking up the royal crown, when actor Hassell stomps on stage to thrust it from his lowly hands. It's a nice comic touch before all the war-mongering gets under way. Ford Davies' clear, plummy tones take us back to the months leading up to the battle on 25th October 1415. Atmospheric and laced with grandeur, this staging has Doran's tell-tale big production accessories stamped all over it. It's energetic, bold and has a good use of dramatic music, particularly the bugles blown between scenes as the players march animately on or off set. Doran doesn't just recreate the politics and strategy leading up to the great battle, he also plays strong on characterisation to bring out the comedy, passion and fears of this band of brothers and their enemy. The French are played on the whole for laughs. Dauphin Lewis (Robert Gilbert) is beautifully ridiculous and soppy, ostentatiously posturing with grapes and a bowl haircut straight from the 1980s. While the French princess Katherine, Henry's ultimate bride-to-be, is introduced in a scene spoken only in French that verges on 'Allo 'Allo territory as she tries to learn English. It's a clever piece of escapism between the war scenes. Bringing this trilogy with Hal to a full conclusion are the involvement of his former Eastcheap companions in the battle and the nod to Sir John Falstaff's death. By the time the play has reached the "We happy few" speech, actor Hassell has already impressed, but that scene completely mesmerises and makes the audience stand to attention. It's a powerful stand out moment that sees him inspire fire in the belly. 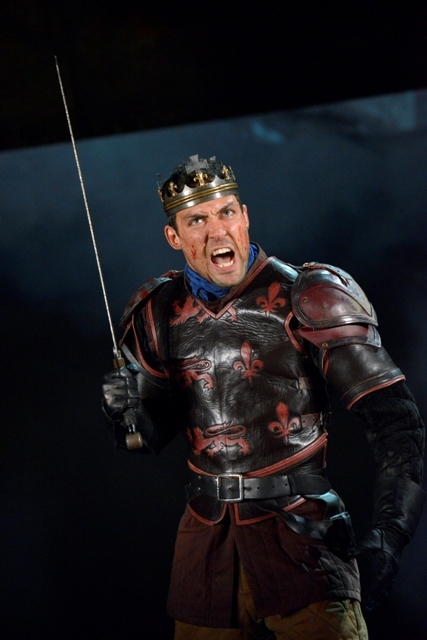 Alex Hassell as Hal (Henry V) is a name to watch for the future. This is a masterful production and the only thing that seems a little off kilter is the final scene between Hal and Katherine when the atmosphere transforms into a fluffy romantic comedy. What's more, this trio of plays featuring Alex Hassell as Hal, put on together at The Barbican Theatre as part of the King And Country series, will no doubt confirm his standing as a tour de force on stage and a name for the future. Tickets are available from the RSC website and start at £5. 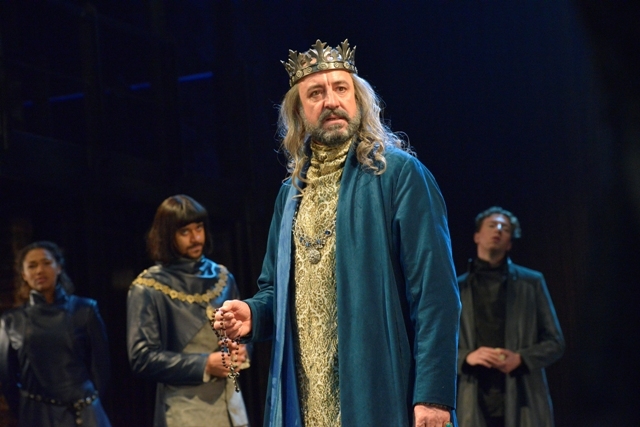 There are also reviews of Henry IV Part I and Henry IV Part II on Weekend Notes. 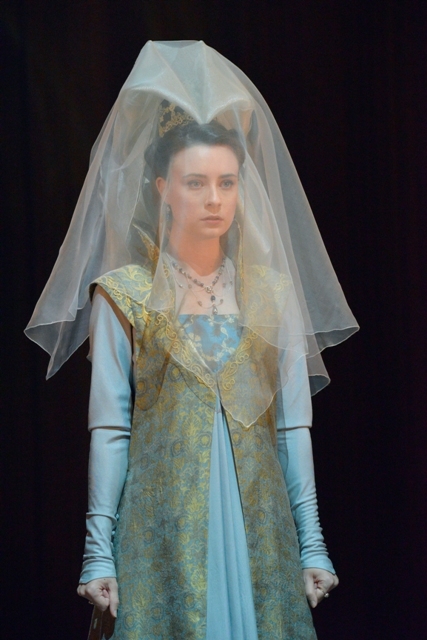 Where: Royal Shakespeare Theatre Stratford upon Avon and then Barbican Theatre, London.